At Nichols & Associates, we specialize in finding customized solutions to your insurance needs that optimize your benefits. We look at each client's unique situation and work closely with you to find solutions that will work for you now as well as in the future. Our customer service-oriented approach has helped us to develop lasting relationships that don't end when we start your policy. Our highly trained staff is ready to help you throughout the life cycle of your policies and will always do anything we can to support your questions and ongoing needs. Our team constantly stays up-to-date on insurance laws and trends so you can always depend on us to provide accurate and informed answers. To learn more about our staff, browse the profiles below for each of our team members. Mike began his 30+ year journey within the insurance industry in 1986 working for a local Independent agency. In 1991, he opened Nichols & Associates of Bay County and has continued to provide prompt and thorough service for all of our clients. Mike holds designations from Life Underwriter Training Council Fellow (LUTCF) and Registered Health Underwriter(RHU), while continuing with his education training to best advise clients on health care needs. Mike has always stayed active in the Insurance Industry and has served as a board member for many state and local insurance associations. 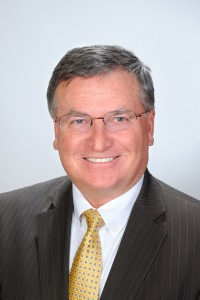 Mike has been a board member of the Panama City Association Insurance Financial Advisors (PCAIFA) since 1986 and served as President of the organization in 1994. Additionally, Mike has been a board member for National Association of Insurance and Financial Advisors of Florida (NAIFA) since 1984 and served as President of the organization in 2001. Mike's commitment to his community is shown through his involvement with the Boys & Girls Club of Bay County, Optimist Club, and Jaycees. Mike served as a board member for the Panama City Chamber of Commerce, and was elected the first chairman of the Small Business Institute, which provides continuing education training for small businesses. He has held a position on the Development Board for Florida State University Panama City Campus since 2002, and has participated as a member for the Panama City Police Pension. Mike currently serves as a Panama City Commissioner (Ward 4) and responsible for being the Chairman of the Bay County Transportation Planning Organization (TPO). He also serves as the Vice-Chairman of the Panama City Community Development Corporation (CDC). Mike's dedication to Panama City is proven through his track record of contributing to the betterment of the city and it's citizens. 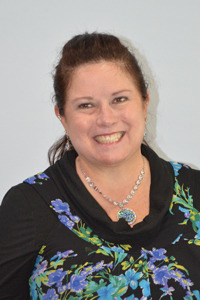 A long time resident of Bay County, Terresa joined Nichols & Associates in April 2001. She received her Insurance License in Health, Life & Variable Annuity. She has extensive knowledge of all insurances offered by Nichols & Associates and offers a wealth of experience. Terresa specializes in Medicare, Disability, Health, Dental, Group Health, Life, Vision Insurance and is a Certified Marketplace Expert. She is focused on serving Nichols & Associates clients with honesty and integrity and giving technical knowledge about our insurance products. 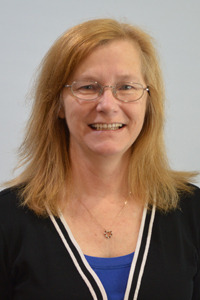 With over 25 years of sales and customer services experience, Terresa is known for her exceptional professional service to all; individuals, groups, and business clients. 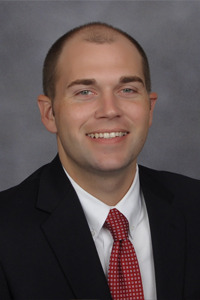 In 2014 Matthew Sowell, a long time native to Panama City, joined Nichols and Associates. Since then he has accomplished significant career achievements including being named twice in the Top 30 of all Blue Cross Blue Shield of Florida agents for insurance contracts. Matt specializes in Medicare, Disability, Health, Dental, Group Health, Life, Vision Insurance and is a Certified Marketplace Expert. Matt focuses on providing clients with a tailored and innovative approach to meet their insurance needs now and for future security. Matt attended Gulf Coast State College and Florida State University and he is an FSU football fan. He attributes his success as an insurance agent to his hard work, training and words of wisdom from his parents, Mary & Jerry Sowell. Since 2012 Tricia has been an essential part of the Nichols and Associates team. Her extensive background in customer service shows as she provides excellent customer support for clients. Her friendly smile and easy going personality will make you feel welcome when you walk into the office. Tricia was born and raised in Panama City and is an avid UF fan. Contact Tricia for any questions related to your insurance policies or scheduling a consultation to discuss your insurance needs.